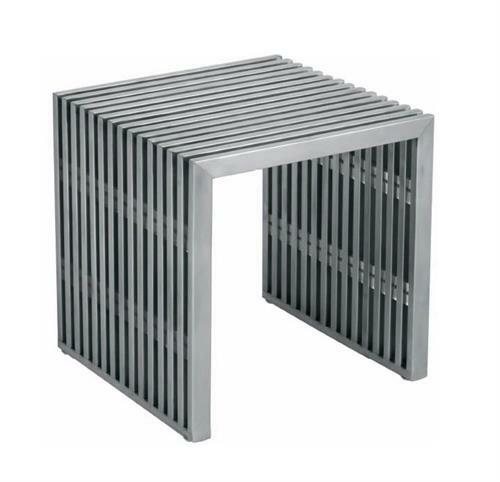 Amici Jr. bench is a great multi-functional accent piece for those with a taste for the industrial bauhaus look. It can be used as a sitting stool or small table for magazines, portable electronics or decor. Amici Jr. bench is made of solid stainless steel and has standard seating height. It is perfect as a stand alone seat, but can also be grouped together with multiple pieces to create a unique seating environment.